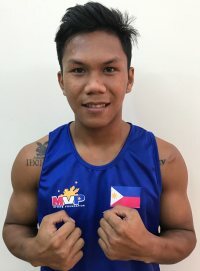 Only middleweight Eumir Marcial and lightheavyweight John Marvin are assured of slots in the Philippine boxing team that will vie for honors at the Southeast Asian (SEA) Games here late this year with the host country allowed to name entries in all 13 weight categories, eight for men and five for women. ABAP secretary-general Ed Picson confirmed that Marcial, 23 and Marvin, 26 are guaranteed tickets to the SEA Games because they’re the only fighters in the national pool in their classes. Besides, they’re highly qualified as the only Filipino boxers to capture gold in the previous SEA Games in Kuala Lumpur in 2017. Picson said the other competing countries may bring in fighters up to only 10 classes unlike the Philippines’ privilege. Thailand, Indonesia, Malaysia, Timor Leste, Cambodia, Singapore, Laos, Myanmar and Vietnam are sending 10 boxers each. Brunei is the only country not participating in boxing. The eight men’s divisions are lightflyweight (46-49 kg), flyweight (52), bantamweight (56), lightweight (60), lightwelterweight (64), welterweight (69), middleweight (75) and lightheavyweight (81). The five women’s categories are lightflyweight (48), flyweight (51), bantamweight (54), featherweight (57) and lightweight (60). In a test of fighters competing for slots in the SEA Games, the Philippines will be represented by seven men and three women at the 30th Asian Championships in Bangkok on Aug. 16-27. The male boxers are lightflyweight Ramel Macado, 23, flyweight Marvin Tabamo, 22, bantamweight Ian Clark Bautista, 24, lightweight Jeorge Edusma, 23, lighttwelterweight Sugar Rey Ocana, 22, welterweight Joel Bacho, 26 and Marvin. The female boxers are lightflyweight Josie Gabuco, 31, bantamweight Nice Zzaa Petecio, 24 and featherweight Nesthy Petecio, 26. The Petecios are sisters. Their brother Norlan, 17, is also in the national boxing pool in the youth category. The contingent will include coaches Don Abnett, Ronald Chavez, Boy Velasco, Romeo Brin and Michelle Martinez. Abnett, an Australian, joined the ABAP coaching staff as consultant last February. Picson said it’s the prerogative of the host country to name boxers in every weight class in the SEA Games while the others may send in up to six male and four female fighters. The lightheavyweight division will assemble boxers only from the Philippines, Malaysia and Timor Leste, guaranteeing each country a medal. For a while, only the Philippines and Malaysia were listed in the lightheavyweight class, endangering its inclusion as there must be at least three countries in every division. But Timor Leste eventually joined in to preserve the category.